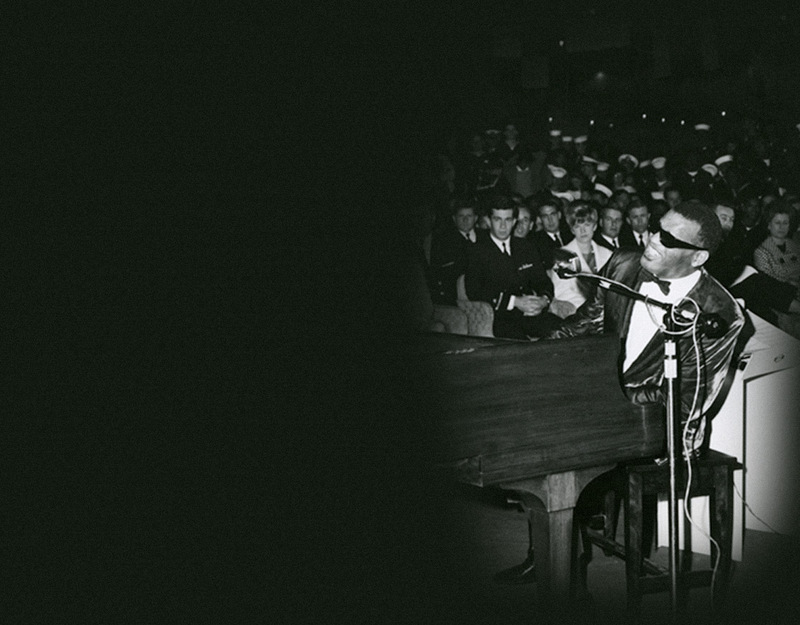 Ray Charles was equipped with a keen sensibility to the needs of others. It was this selfless generosity that motivated him when he founded The Robinson Foundation for Hearing Disorders Inc. in 1986. The mission and purpose of The Foundation was clear, provide financial support in the area of hearing disorders and support institutions and make donations to organizations for educational purposes. In 2006 the official name of The Foundation became The Ray Charles Foundation and the mission remains the same. Although Mr. Charles lost his sight at age 7, he never felt he was handicapped. He rather believed that “the inability to hear was a handicap not the inability to see.” His mother once told him “You’re blind, not stupid” and knew he needed to be educated. In 1937, she sent him to the school first named “The School for the Blind, Deaf and Dumb” based in St. Augustine, Florida. It later became The Florida School for the Deaf and the Blind. Ray Charles understood deeply the difference between handicap and potential and began to make contributions, often anonymously, to help fund cochlear implants for those who could not afford the operation, and shortly thereafter started supporting educational institutions for those who could not afford an education. His passionate approach to philanthropy underscores his approach to creativity and performance style. But it is that quiet force that has led The Ray Charles Foundation to be at the forefront of generous multimillion dollars contributions and donations to various institutions across the United States in his name. The Ray Charles Foundation continues its ever-evolving mission as a major philanthropic force assessing needs of communities and organizations where merit is clear but funds unavailable. As guardian of the Ray Charles legacy, Valerie Ervin is committed to carrying forward the vision and philanthropic mission set forth by Ray Charles. Prior to being named President of The Ray Charles Foundation, Valerie Ervin established her tenure with the organization by working closely alongside Ray Charles and his long-time manager/business partner Joe Adams, as Executive Assistant and Vice President of Operations. Ms. Ervin’s approach to business and the daily management of The Ray Charles Foundation remains consistent with the principles, tenets and integrity with which Ray Charles and Joe Adams conducted business for more than five decades. In addition to leading The Foundation in its grant-making initiatives, Ms. Ervin also oversees the negotiation of music licensing contracts and manages all the commercial, business, marketing and financial interests from revenues generated by The Ray Charles Foundation. She has been Executive Producer on multiple music and media projects, including the In Performance at the White House, a PBS special honoring Ray Charles, hosted by President Barack Obama and Mrs. Obama. Ms. Ervin also lead the design and installation of The Ray Charles Memorial Library. In every project, Ms. Ervin endeavors to add value to the Ray Charles brand including the Academy Award Winning bio pic, Ray. Ms. Ervin has positioned The Foundation as a significant player in the world of American philanthropy. Ms. Ervin has received dozens of awards, plaques of recognition and appreciation from the City and County of Los Angeles and others. Numerous business organizations, entertainers, record companies, secondary and higher learning educational institutions including an Honorary Doctorate degree from Dillard University and other foundations, have all recognized Ms. Ervin for her unrelenting efforts in spearheading the agenda of The Ray Charles Foundation. Under her leadership, The Ray Charles Foundation has donated millions of dollars in grants, making Valerie Ervin one of the most influential legacy estate guardians.